Bangalore, March 7, 2017 - Tide Plus, one of the leading fabric care brands in India from P&G, has introduced the New & Improved Tide Plus in the state. The New version of India’s popular detergent brand has undergone a formulation upgrade, leading to a superior performance – all thanks to the built-in Power of bar it comes packed with! The latest campaign by Tide Plus about its new avatar focuses on surprising whiteness, along with an increased value by calling out the substantial savings on the monthly budget by removing the washing bars from your shopping lists. Every homemaker takes immense pride in ensuring that her family looks well groomed, and does not have to face embarrassing situations due to dirty clothes. Collars and cuffs continue to be the toughest areas to clean. Hence, they spend a lot of money, using multiple products like detergents and washing bars, to get the desired whiteness. But, there is a simpler, more efficient way out now - the new & improved avatar of Tide Plus, enriched with the built-in power of bar, which solves all your washing woes by delivering brighter whiteness compared to the combined performance of detergent + washing bars! This upgraded version of Tide Plus is now available in the market. Consumers can now enjoy an even superior whiteness by using just one product – the new & improved Tide Plus – without having to use additional products like washing bars, thus saving substantial money month-on-month for every household! This will also lead to further improvement in the laundry experience for the homemakers. 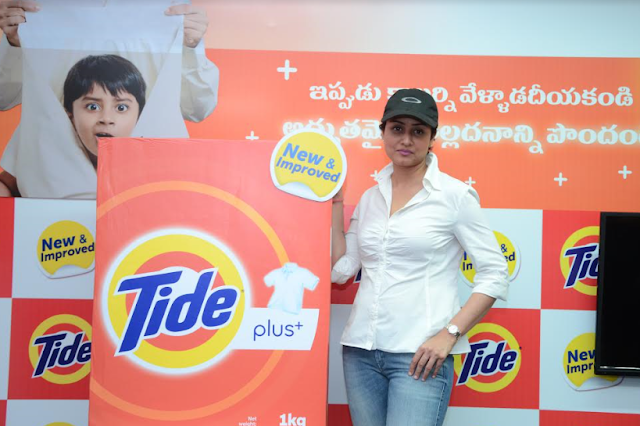 Namrata Shirodkar, famous Actor & Producer, who associated with the new & improved Tide Plus launch, shared, “I recall that as a child, my mother would be very particular about my uniform when I went to school. Now that I am a mother myself, I realize how every homemaker takes pride in her family’s grooming. But why should laundry be such a boring, daunting task? 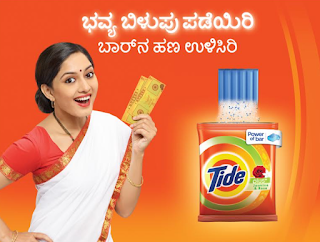 Tide Plus, in its own cheeky avatar, has taken it on itself by bringing to you this new, advanced product enriched with the Power of Bar that gives brilliant whiteness even for tough areas like collars!” She also highlighted how the product’s built-in power of bar will result in lesser spends & whiter laundry for the homemakers. The New Tide Plus campaign is a 360-degree integrated campaign – watch out for the Tide fun across TV, print, digital, radio, etc. The New Improved Tide Plus is priced at ₹ 49 for 500 grams and ₹ 96 for 1 kg pack. Drop in to your nearest retailer store and buy your pack. Why spend your money on bars when there is a single-product way to make your laundry experience more efficient?